Delicious sugar cookies sandwiched together with a simple vanilla buttercream frosting make the perfect Spring dessert! The weather has been absolutely amazing so far this week! Lots of gorgeous sun and high 40 degree temps are making it feel like Spring. I know it's not here yet, but it's oh so close. A lot of the snow is melting and the grass is beginning to show, a sign of good things to come. With the spring weather comes spring food. I can hardly wait to grill out and eat lots of fresh, local fruits and veggies. For now though, I'm making some spring themed desserts to get me in the mood. Have you tried the new Nestle Toll House Rolled and Ready Sugar Cookie Dough? If you haven't, you simply must check it out! These are super simple cookie dough sheets that you remove from the package, cut into shapes, and bake. Simple as that! And the taste is simply amazing, too. You can't go wrong with a good sugar cookie. I was trying to come up with a fun and easy recipe for the Nestle Toll House Rolled and Ready Sugar Cookie Dough, and I love what I created! 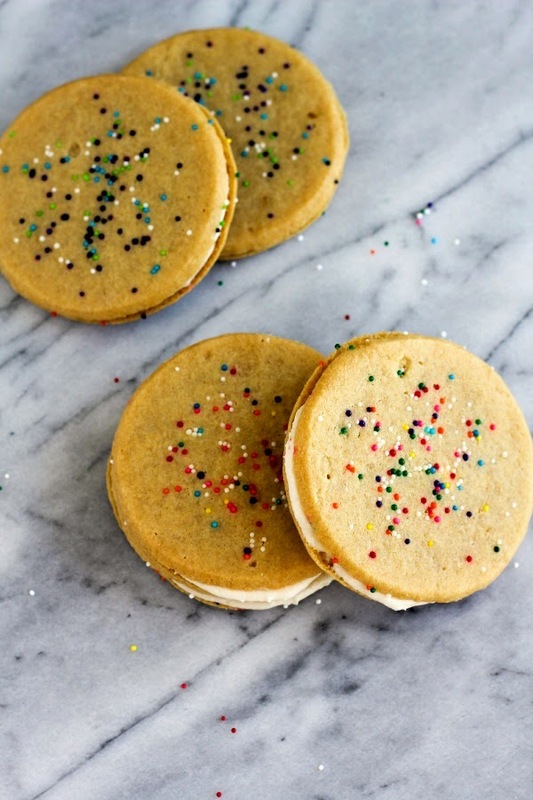 Sugar cookies with sprinkles on top, slathered with an easy and scrumptious vanilla buttercream frosting, then topped with another cookie. 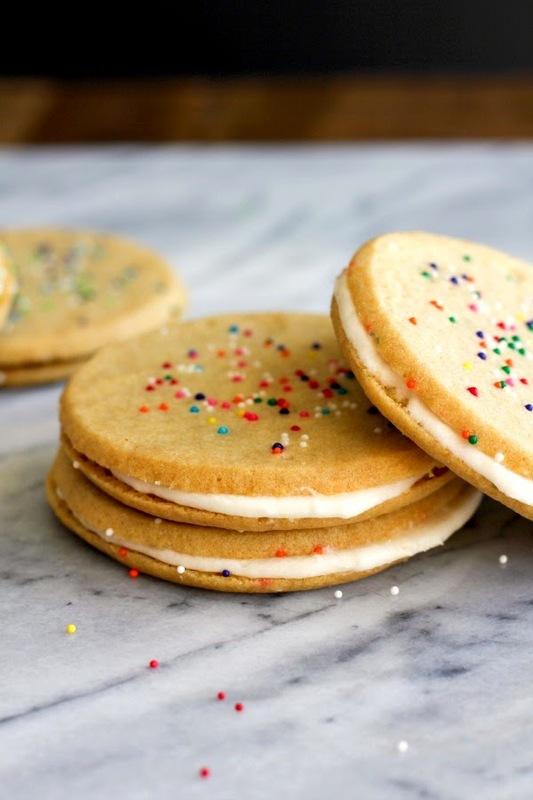 A Spring Sugar Cookie Sandwich! The kids and I can barely keep our hands off these gems. In fact, I ate one for breakfast today. Shh...don't tell anyone! These are really fun to make with your kids. I used round cutters, but you can cut the dough into any shape you'd like. Add nonpareils before baking so they set into the cookies. The kids will have fun cutting the shapes and topping the dough with sprinkles, and even more fun putting the frosting on and making a sandwich! Preheat the oven to 350 degrees. Line a baking sheet with parchment paper or a silicone baking mat and set aside. 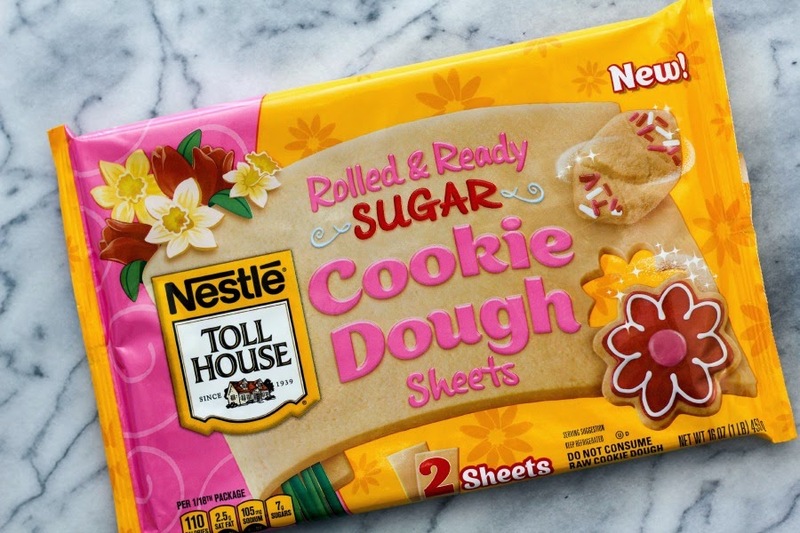 Place the sheets of Nestle Toll House Rolled and Ready Sugar Cookie Dough on a lightly floured pastry board or mat. 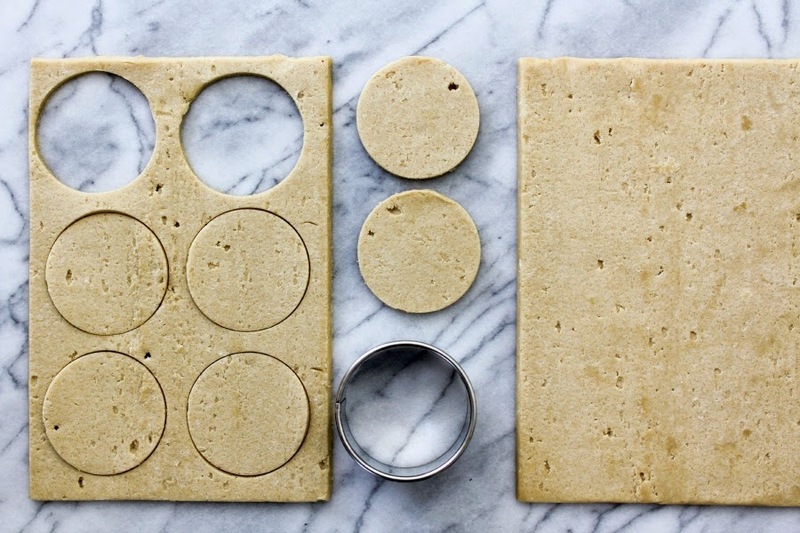 Use a 2 1/2 inch round cookie cutter and cut six circles out of each sheet, making twelve total. Pull together the scraps and roll out the dough, then cut out another four circles. Place the cookies on the prepared baking sheet. 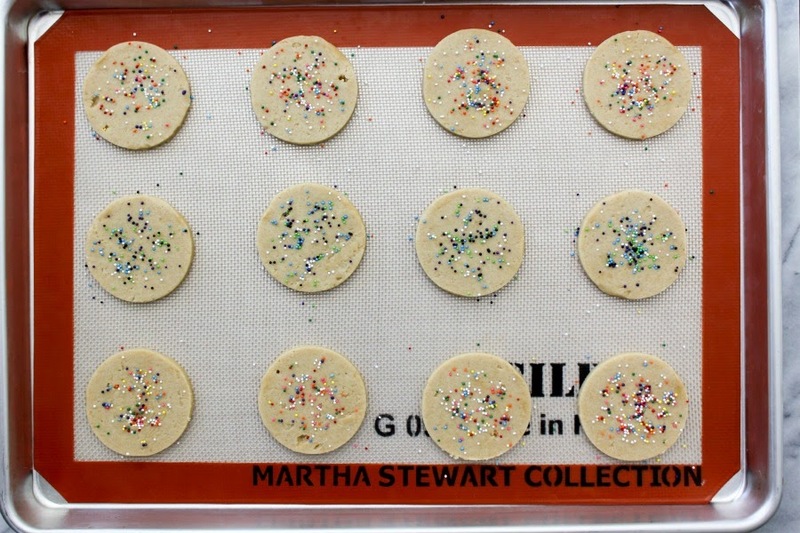 Sprinkle some nonpareils over each cookie and press them gently into the dough with your fingertip. Bake the cookies for 9 to 10 minutes, or until the cookies are lightly browned and the edges are crisp. Cool the cookies on the baking sheet for 5 minutes, then remove to a wire rack to cool completely. While the cookies are cooling, make the frosting. In the bowl of a stand mixer using the whisk attachment, beat the butter until light and fluffy. Add the vanilla extract and milk, then a cup and a half of the powdered sugar. Add additional powdered sugar until you reach your desired consistency. Turn half of the cookies upside down and spread a heaping tablespoon of the frosting on each. Top each one with another cookie, bottom side down, and gently press so the frosting spreads to the edges. Store leftover cookies in an airtight container. Thanks to Nestle Toll House for sponsoring today's recipe! Although I was compensated for this post, all opinions are 100% my own.